If you are part of the one third of Americans who have experienced divorce, then you clearly have your own war stories to share. It’s going to happen [sometimes], so let this story of mine be advice that is kind of like an insurance policy. I hope you’ll never have to use it, but you’ll be glad you had it if you do. Laws differ in every state, and are complicated by kids, real property, debts, and businesses. Mine involved all four. But an hour with an attorney was all the legal counsel I needed, while my ex chose to keep a lawyer on retainer. It surprisingly took us about an hour to hash out the details of how we would divide our assets. Just like that, it was settled. It still took about 5 months to go through the motions and have a finalized divorce (feet dragging was at play). All the important details were sorted in what felt like record time. 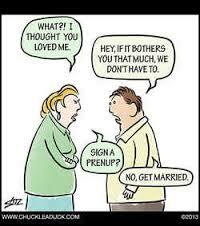 It helped that we had a prenup. Though we didn’t actually divide things even close to what we had originally agreed upon, the general tenants were stood by. Rewind to a decade prior, and thankfully we had the foresight to realize that our financial lives might look very different. I read a short but helpful book on prenups, “What to do, before ‘I do'”, that was more helpful than the lawyer I paid. Premarital assets would remain individual. (James had one rental property and I had no assets to speak of). Retirement funds would be kept as individual. (James had about $70k in retirement, but by the time we divorced, I would have triple of his retirement). Our primary residence would be split 70/30, in my favor. (This was due to expecting that I would pay for more of our household expenses as James was headed into a Ph.D. program just after we married. I would end up supporting the majority of our household expenses over a 5 year period). James got our blogging business that spun off of the original DINKs Finance and $20k in cash that he would use to further build this business and build a revenue stream from. In turn, I got all four properties (two rentals in DC, one beach cabin bought with inheritance money, and my sweet pad in NE Portland), plus all remaining joint funds that had come from the sale of our last place in DC. Best advice about prenups: get one to protect yourself (even if you aren’t going to get a divorce and don’t have any assets). It may not feel romantic, but if you can’t talk frankly about finances, you probably aren’t ready for marriage. Here is my original post on prenups, at the time of writing one. Best advice about divorce: Establish common ground and don’t sell yourself sort. Best advice about lawyers: Use them sparingly. If we had both taken our lawyer’s advice, then things would have been much more complex, drawn out, and neither of us would have gotten what we wanted.